Dr. Jane Goodall blazed the trail. The next steps are up to us. 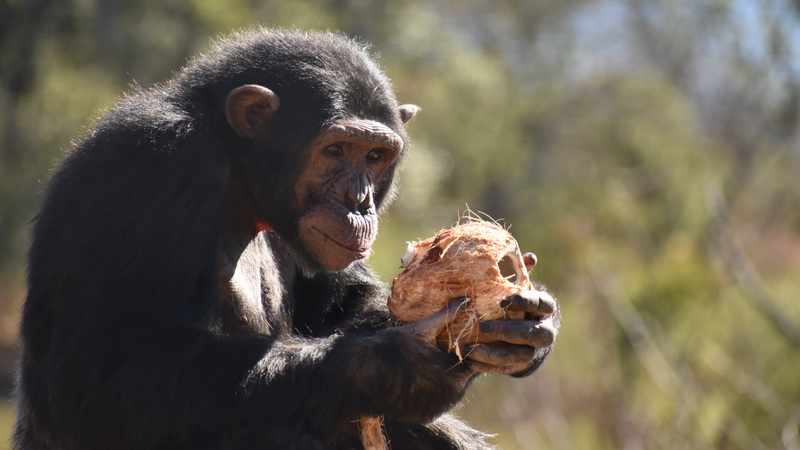 Situated within the beautiful 1,000 hectare Umhloti Nature Reserve, 15 kilometres outside Nelspruit, the Jane Goodall Institute (JGI) South Africa Chimpanzee Sanctuary is home to chimps that have been misplaced from their natural habitats in Africa. 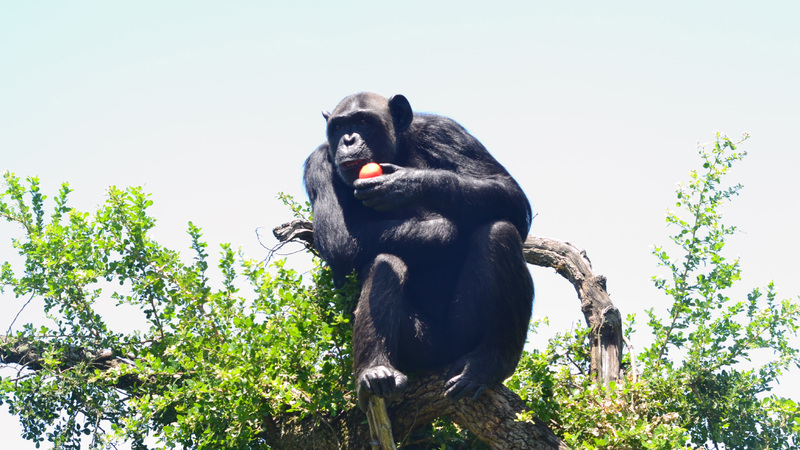 Chimp Eden was established in 2006 and is the first and only chimpanzee sanctuary in South Africa. 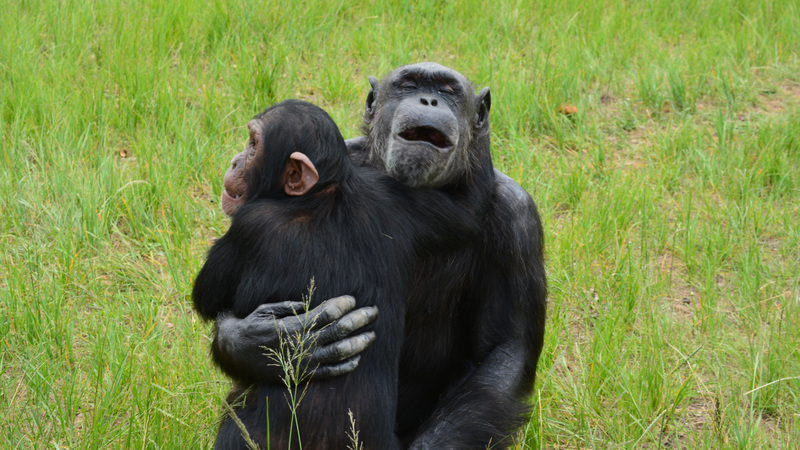 This JGI chimpanzee sanctuary brings the world of chimpanzees closer to humanity through education end eco-tourism. 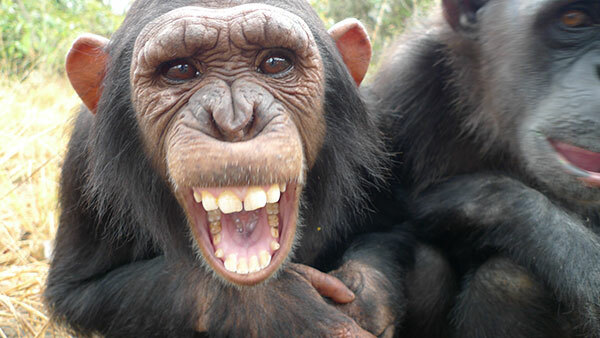 The chimpanzee (Pan Troglodytes) is considered to be the closest relative to humans and is “Endangered’ under a strict application of the IUCN Red List Criteria (International Union for Conservation of Nature) and is listed in Appendix 1 of CITES (Convention on International Trade in Endangered Species of Wild Fauna and Flora). Chimpanzees in the wild may be extinct within the next 10 - 20 years if current trends cannot be reversed. 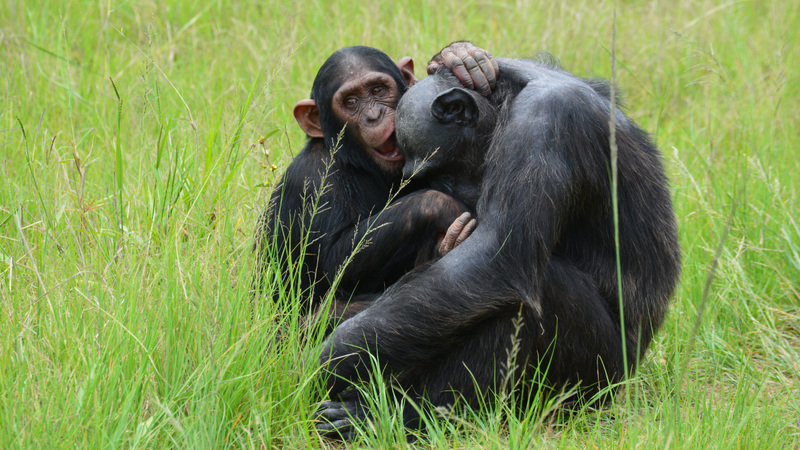 The goal of the chimpanzee sanctuary is to rescue chimpanzees that have survived the bush meat trade, been orphaned, traded in the illegal pet market, or rescued from being traumatised for entertainment in circuses, beach resorts and night clubs. 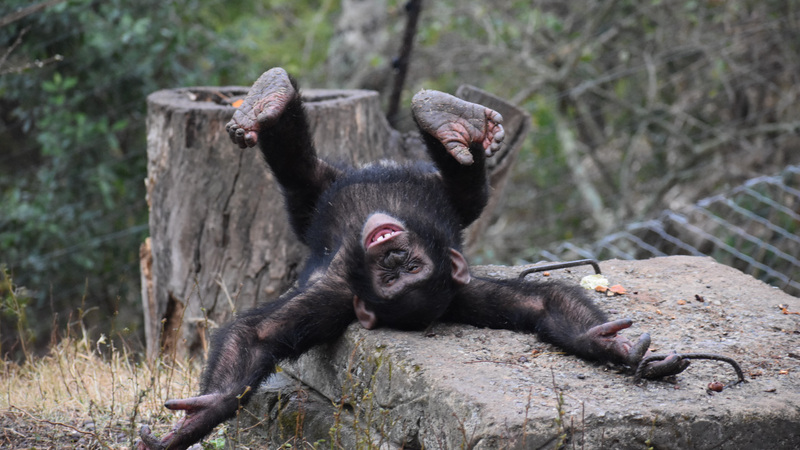 The chimpanzees at Chimp Eden are the lucky ones, living out their lives in a risk free environment and being provided with the necessary attention to recover from the trauma they have experienced. 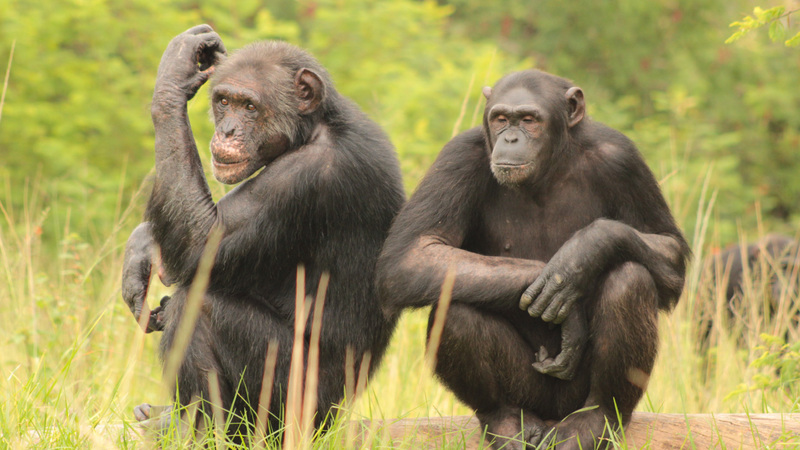 The chimpanzees spend their days in semi-wild enclosures, and show normal social interaction and behavioural patterns as group members. 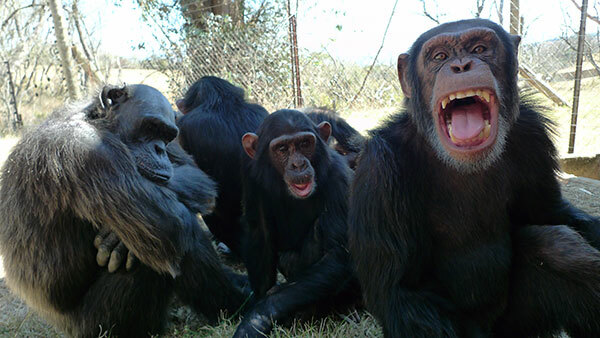 There are currently three different chimp groups and enclosures at the South African sanctuary. There are viewpoints overlooking the forest and “foraging areas’ from which visitors and volunteers can observe and study the chimpanzees. Founded in 1977, the Jane Goodall Institute continues Dr Goodall's pioneering research on chimpanzee behaviour. This research transformed scientific perceptions of the relationship between humans and animals. 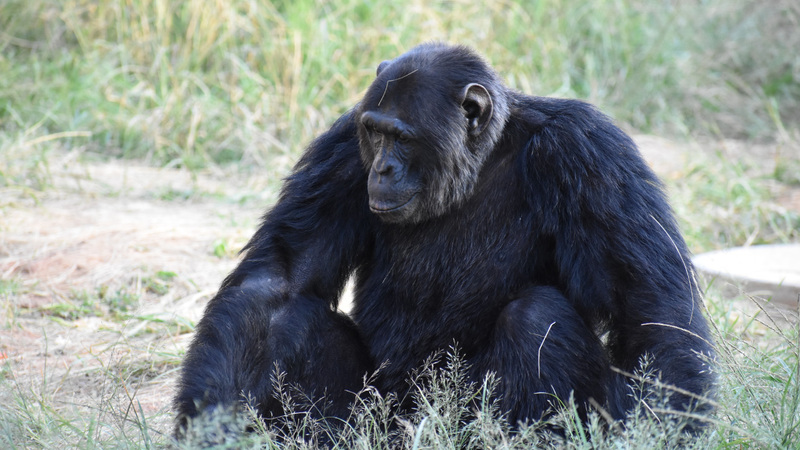 The South African chimpanzee sanctuary is proud to be part of the Jane Goodall Institute, which is a global leader in the effort to conserve and preserve endangered species and habitats, and in particular chimpanzees. The JGI is also widely recognised for establishing innovative community-centred conservation and development programmes in Africa. Jane Goodall’s Roots & Shoots, the Institute's global environmental and humanitarian youth programme, has groups in more than 120 countries. 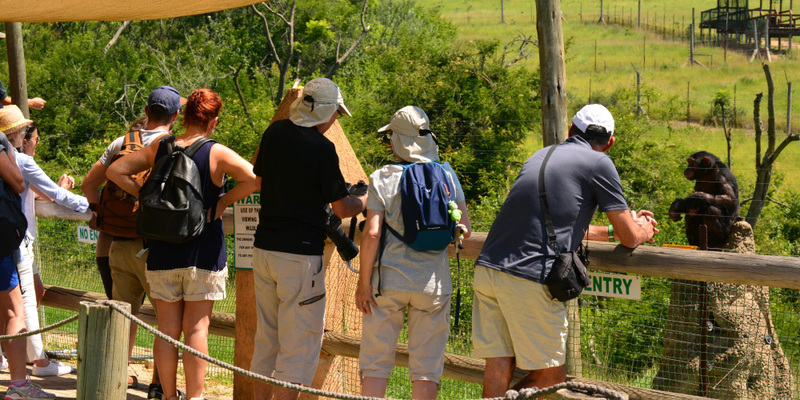 Guided tours take place three times a day, every day of the year (weather permitting), when the chimp tour guide talks about chimpanzees, the sanctuary, and introduces the individual chimps and their stories - from the safety of the viewing points. The tour takes approximately one hour. Light meals and refreshment are available from the restaurant before or after the tour. R165* per pensioner (over 65). Discounts apply for specially organised school and other groups. Special educational tours and other tailored tours can also be arranged. The JGI Chimp Eden is committed to education through its public tours, volunteer programme, education centre and school tours. In addition, the chimpanzee sanctuary has an outreach programme to educate local community schools about chimpanzees and sustainability issues, with the assistance of funding from The Disney Worldwide Conservation Fund. 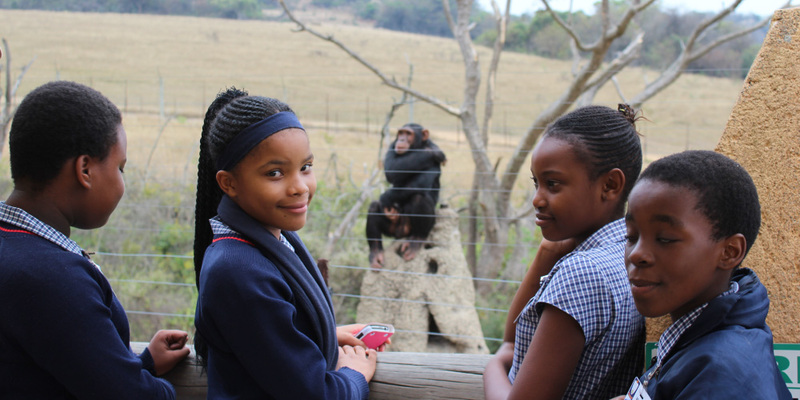 Roots and Shoots, the Jane Goodall Institute’s global and humanitarian youth programme and part of JGI South Africa, undertakes education projects throughout South Africa, and is aimed at empowering youth to commit to human, animal and environment concerns. The Jane Goodall Institute works closely with GRASP (Great Apes Survival Partnership) in educating all involved communities and stakeholders about the plight of the endangered great apes. The main sources of funding are tours, the shop, the volunteer programme, hosting of other special events, public donations of money (or donation of essential products such as food for the chimpanzees), “adoption” programmes, and fund raising events. The Jane Goodall Institute South Africa is a registered non profit organisation and has to raise all of its own funds in order to continue to care for the chimpanzees currently it its care, and also to enable it to rescue those traumatised chimps who are in desperate need of refuge. All proceeds from chimp tours, the restaurant, shop, volunteer programme and hosting of special events go directly back into the sanctuary. Donations of money from the public and private sector are crucial to the survival of the sanctuary and are very gratefully received. If you would like to make a donation please click here or if you would like to make a direct transfer, please click here for details. If you would like to make a donation in memory of a loved one, acknowledgement will be make on Facebook or in the Newsletter. 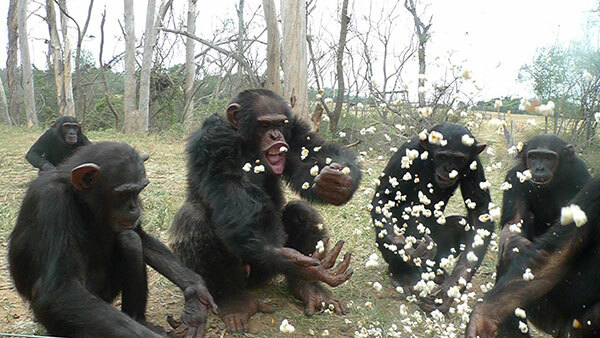 The sponsorship of products such as food for the chimpanzees enables the sanctuary to give the necessary healthy nutrition for all the chimps. and is a very important factor in keeping the sanctuary sustainable. The generosity of sponsors of other items necessary for the running of the sanctuary, and building and maintenance projects which enable the sanctuary to raise the necessary funds, are gratefully acknowledged. The Jane Goodall Institute Chimp Eden is committed to compliance in all areas of good corporate governance as applicable in South Africa (including the King Commission for Corporate Governance 3). It complies with regulations of The Non-Profit Organisations Act 71 of 1997 and other applicable government regulations and relevant organisational guidelines. 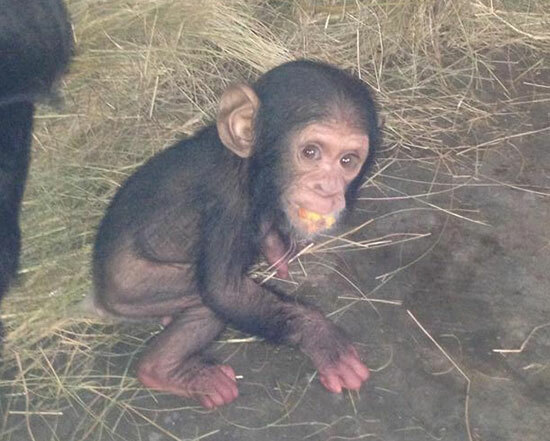 As from January 2013, the JGI SA manages both the primate care and all operations at the chimpanzee sanctuary. 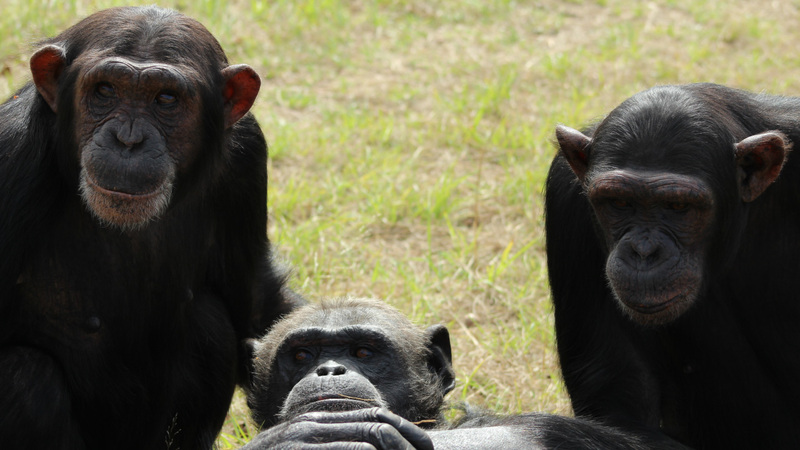 The Institute is a non profit organisation and all funds received go directly back into the JGI Chimp Eden to further its aims of conservation and protection of chimpanzees, or to assist in funding the Roots and Shoots outreach programmes. The Jane Goodall Institute South Africa Chimp Eden is accountable to the JGI SA Trustees. The JGI SA is audited annually. Jane Goodall Institute South Africa.